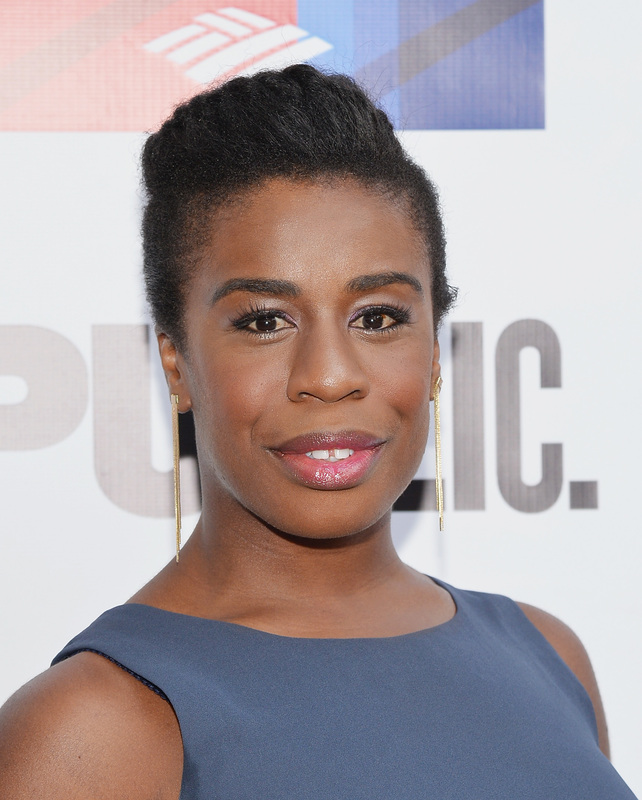 Crazy Eyes may have stage fright on Orange Is the New Black, but the actress who plays her certainly does not. In fact, Emmy-nominated (hell yes!!) Uzo Aduba starred in the revival of Godspell on Broadway in 2011 and sang the heart wrenching ballad "By My Side." Not only does the actress have Emmy-worthy acting chops, but she's got a killer voice to boot. You can see for yourself in the clip below. Seriously, this girl can sing. Does that mean we might hear a Christmas carol from Suzanne Warren in next year's Christmas pageant? Please! I'll throw my pie for you, Netflix! What's really cool to see is that, if you look closely enough, there are some parallels between this song and the character she plays on OITNB. Interestingly enough, the lyrics in "By My Side" express a loneliness and a sense of longing (where are you going?/ Can you take me with you? ), which is definitely a familiar motif given Suzanne's incessant loneliness, whether she's clinging to the sociopathic Vee or expressing her unrequited love for her "dandelion," Piper. It's clear that Aduba knows how to convey a whole gamut of emotions in her acting which is very likely why she's now nominated for an Emmy. So in honor of that nomination, let's look at her stage days and hear her gorgeous voice. And Netflix, I've asked this before, but what are the odds of getting a single musical episode of OITNB? I'm kind of dreaming of a song called "Pornstache's Lament." And since that's only a short clip, you can hear Aduba's rendition of the whole song from the soundtrack below. Enjoy!